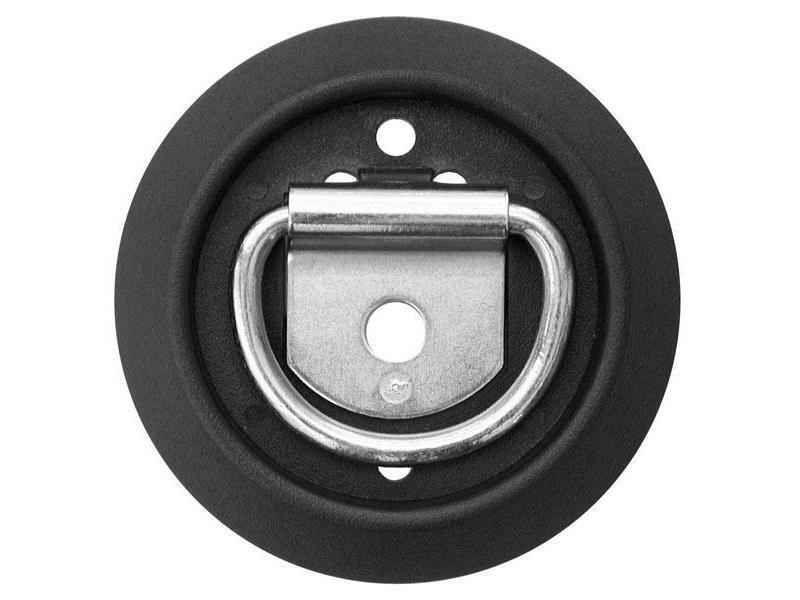 Surface mounted Rope Ring measures 4 inches O.D. and attaches to floor or wall of trucks and enclosed trailers. Zinc plated to resist corrosion. Rated 1,000 pounds working load limit.